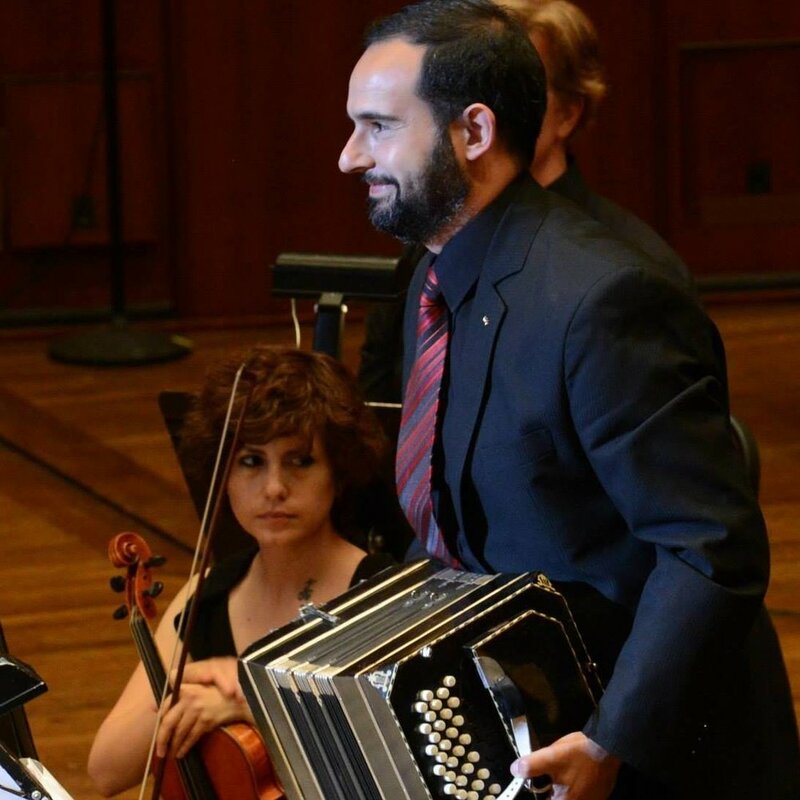 A native of Argentina, Rodolfo Zanetti plays the bandoneon, a type of concertina particularly popular in that country and an essential instrument in most tango ensembles. Dedicated to playing tango from an early age, he joined the Mancifesta Orchestra and Tango & Punto before co-founding the Quintet Bandó, with which he made well received tours to Washington, Chicago and New York. Under the auspices of the Astor Piazzolla Foundation, in 2003 Zanetti directed Maria de Buenos Aires, the masterpiece of Astor Piazzolla and Horacio Ferrer. He performed as bandoneon soloist with the Choir of the National University of Cuyo (U.N.C. - Mendoza) and with the Coro de Jóvenes de la Universidad Nacional de Cuyo. In 2009 he founded El Despunte Tango Club, a traditional tango trío. In 2013 he performed as soloist in the very international wine event of Mendoza, the Fiesta Nacional de la Vendimia. In 2017 he won the First Prize as a bandoneonist at the "Che Bandoneón International Competition" awarded by the Argentine Tango Society at the Stowe Music Tango Festival in Vermont, USA. In 2018 he participated as a bandoneon player in the album "Vigor Tanguero" by Pedro Giraudo, which has obtanied the Latin Grammy to the best Tango Album.